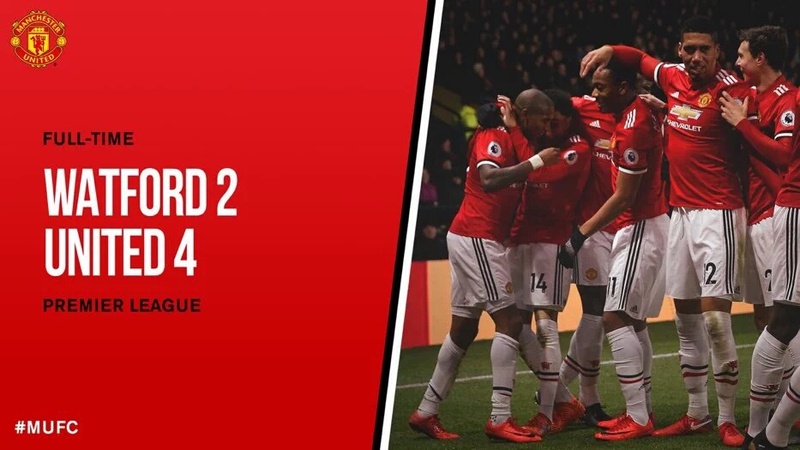 This victory, United's third successive win in the Premier League, reduced the gap at the top to five points, ahead of City’s game against Southampton on Wednesday night. 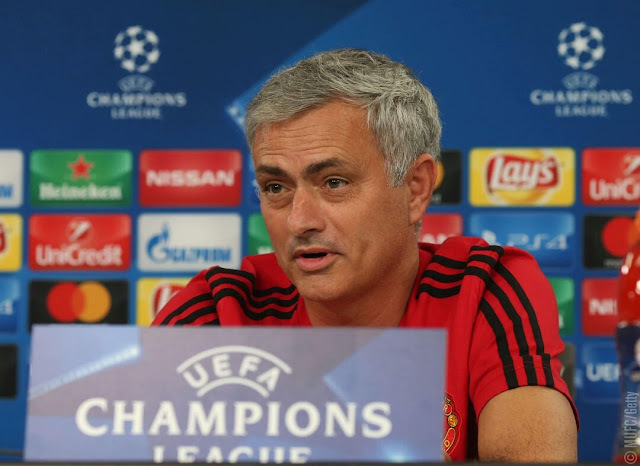 Jose Mourinho's men went ahead with the first shot of the match. Having seen his deflected strike go down as an own goal against Brighton at the weekend, there was no doubt that it was Young’s goal this time. Jessie Lingard picked out fellow England international Young on the edge of the area, who sweetly hit a right-footed half volley beyond Heurelho Gomes. 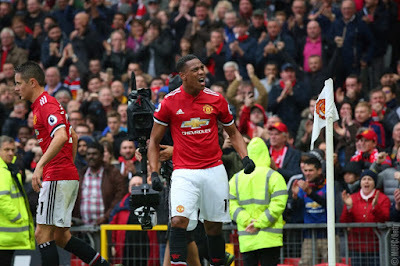 A little over five minutes later, Young grabbed his and United’s second goal, a direct free-kick curled beautifully into the top left-hand corner. The chance came after Abdoulaye Doucoure brought down Paul Pogba with a combination of a shirt pull and a poorly timed tackle. Up stepped Young to punish the foul and leave the home crowd stunned. The travelling fans had only just settled down when Gomes was once again picking the ball out of the net. 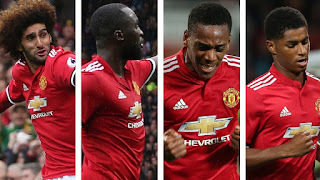 Romelu Lukaku was the provider, knocking the ball down to Martial for the Frenchman to strike home with his eighth goal of the season in all competitions - equalling his entire tally for 2016/17. Mourinho’s side would have gone in four up at the break if not for a fine double save by Gomes. 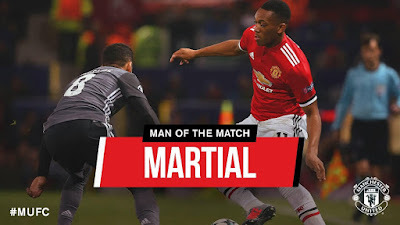 Having been afforded both time and space, Lukaku drove an effort on goal and the resulting save looked to be falling kindly to Lingard, but by the time it had reached him, Gomes was back on his feet and impressively turned it over the crossbar. The last action of an incident-packed first half was to fall to the hosts in the second minute of added time, Kiko Femina crossing to Richarlison, who headed onto and over the bar. Watford substitute Troy Deeney pulled one back for Marco Silva’s side when referee Jon Moss adjudged Marcus Rojo to have brought down Roberto Pereyra in the penalty area. Deeney confidently finished from twelve yards as he sent David De Gea the wrong way. 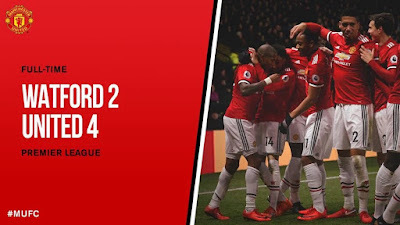 Watford were back within a goal of United after Doucoure finished from inside the area, but any hopes of a comeback were short-lived when, two minutes later, Lingard dribbled forward from inside his own half and secured the points with a composed finish. 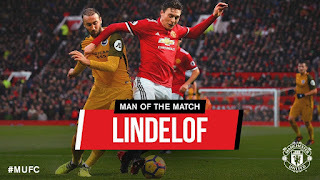 Zlatan Ibrahimovic came on for Lingard in the closing stages to make his 50th appearance for the Reds but a goal from the Swede was not required to seal the richly-deserved triumph. Watford : Gomes (c); Mariappa, Prodl (Carrillo 58), Kabasele; Femenia, Cleverly, Doucoure, Hughes, Zeegelaar; Huges (Pereyra 58), Richarlison; Gray (Deeney 72). Subs not used : Karnezis, Wague, Janmaat, Capoue. 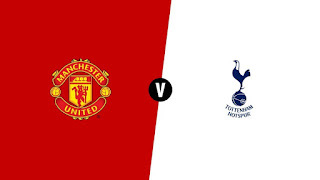 United : De Gea; Valencia (c), Lindelof, Smalling, Rojo, Young; Matic (Herrera 54), Pogba; Lingard (Ibrahimovic 88), Lukaku, Martial (Rashford 65). Subs not used : Romero, Darmian, McTominay, Mata.